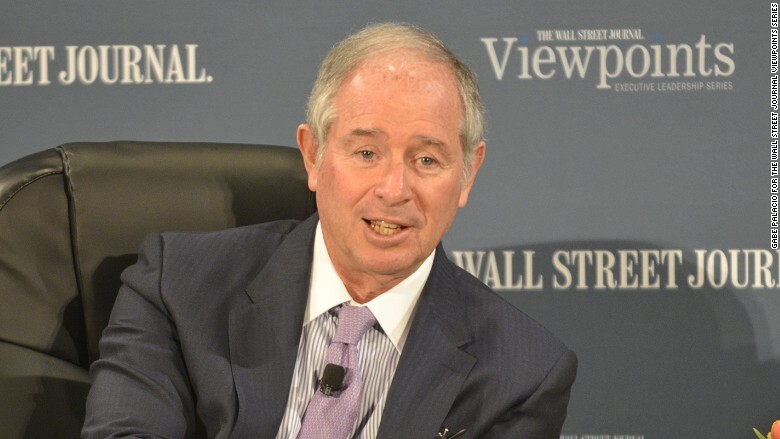 Blackstone CEO Stephen Schwarzman speaks March 3 at a Wall Street Journal leadership event. Wall Street is known as a testosterone-fueled industry where foul language is the norm and greed rules all. But at least one very successful titan of finance isn't looking for someone who fits that description. "To be hired at our place and work with us you have to be nice. I don't like people who are not nice," said Stephen Schwarzman, CEO and co-founder of Blackstone Group (BX), one of the world's largest private equity firms. The comments suggest gentler corporate philosophy than one would expect, at least at Blackstone. "To make a culture of very smart, fast-moving people you can't have political monkey business going on," Schwarzman said on Tuesday at a Wall Street Journal leadership event. $690 million payday: It's tough to argue with Schwarzman's recipe for success. He has emerged as the king of the private equity world. Blackstone enjoyed a record year in 2014 on a number of metrics, and its stock price is up 968% since the market bottomed out in early 2009. By comparison, the S&P 500 is up about 215% over that span. That impressive growth is why Schwarzman took home an eye-popping $690 million last year, mostly from dividends tied to his ownership stake in the firm. To put that into perspective, it took him just over 12 days to earn Goldman Sachs (GS) CEO Lloyd Blanfein's entire 2014 compensation of $24 million. How to recruit talent: He also knows a thing or two about hiring. Blackstone has over 700,000 employees if you include the people who work at the various companies like Michaels Stores that Blackstone owns. 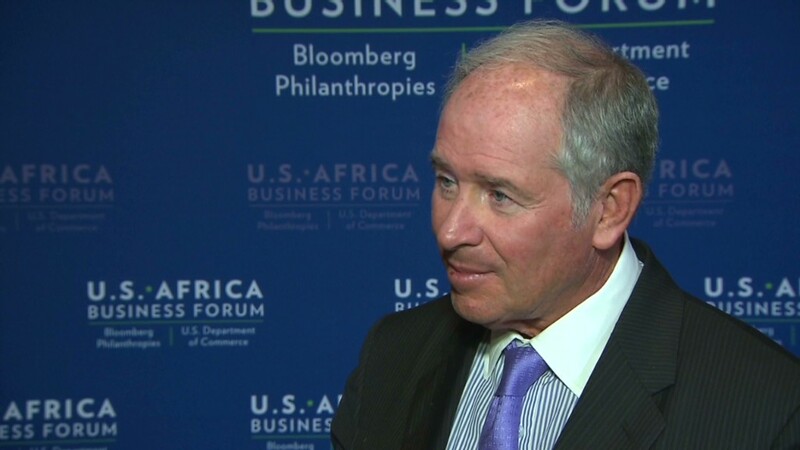 Schwarzman said he's turned down job applicants who lacked the interpersonal skills needed to succeed at Blackstone. "They can be very, very smart, but they are the kind of person you wouldn't want to spend time with or expose your people to. They may fit somewhere else, but they don't fit with us." Schwarzman said. Instead, the Blackstone chief said he's searching for individuals who demonstrate the "resiliency" and "grit" exemplified by NFL running backs who fight through hits for extra yardage. MBA not a prerequisite: Schwarzman puts far less emphasis on having an MBA degree. Asked about the importance of getting an MBA, he noted some executives in charge of major Blackstone businesses -- like Jon Gray who runs the world's largest real estate business -- don't have an MBA. "We've had a debate about this," said Schwarzman. "Jon's got a gift. Obviously an MBA wouldn't have improved it too much." That might be music to the ears of people who are on the fence about spending heavily on an MBA. Harvard Business School, where Schwarzman got his MBA, says students should budget for around $100,000 in annual tuition, room and board and other expenses. However, Schwarzman said that many younger people hired without an MBA "usually hit some type of ceiling" after five years due to a lack of maturity. Blackstone encourages these individuals to go back to school.